1. 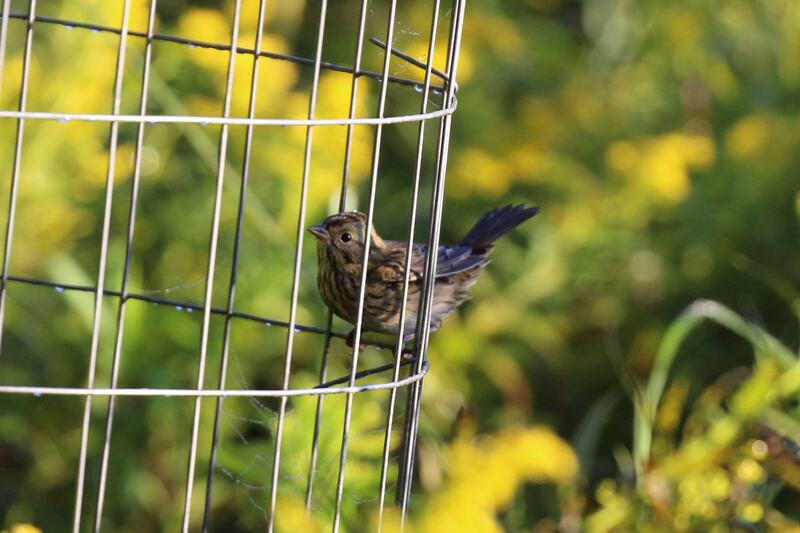 Lincoln's Sparrow - Nothing else has that crisp black on brown chest pattern. 2 is definitely Bay-breasted. 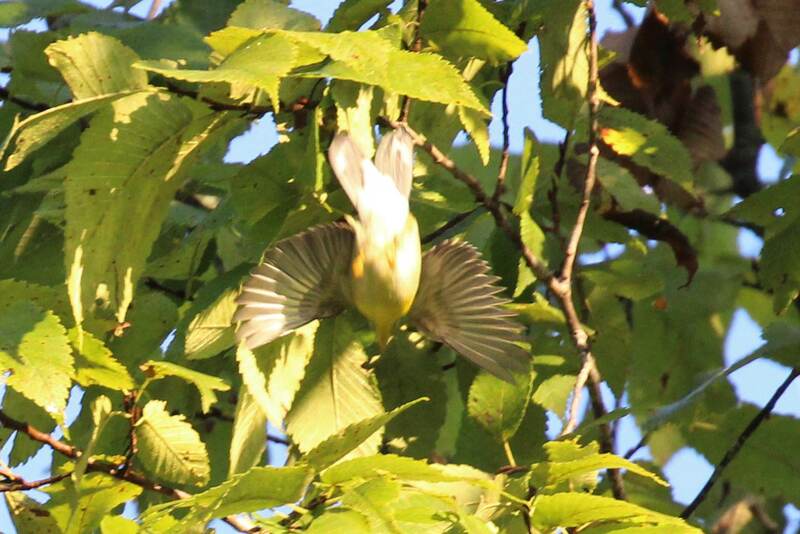 3 is a Parula. Pass on 4, although Blackpoll is a possibility. Thanks. 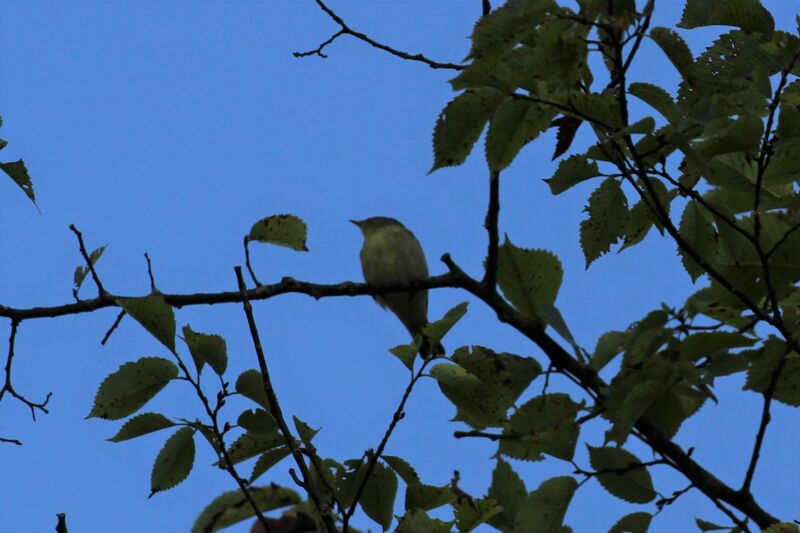 Saw Parula and Blackpoll as well so that makes sense. 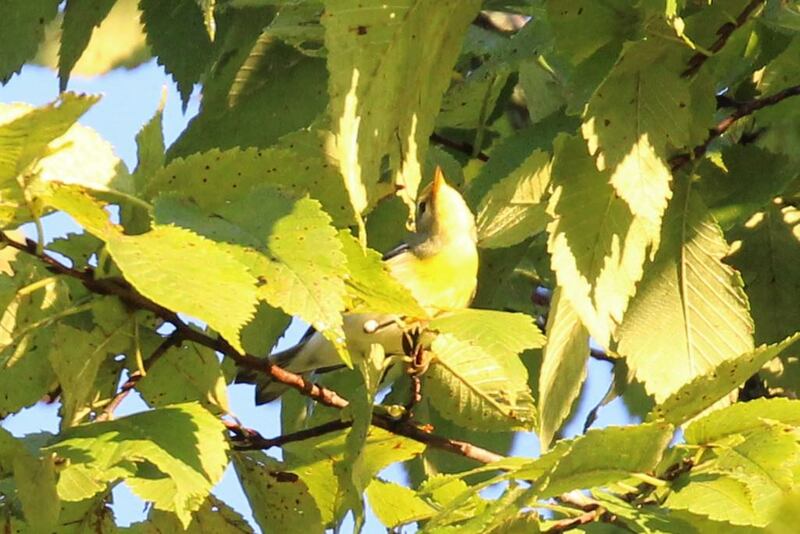 I agree with Lincoln's for 1, definite Bay-breasted for 2, and Northern Parula for 3. Any possibility of #4 being a Flycatcher? I’m 50/50 between a Flycatcher and Blackpool. Would Yellow Belly Flycatcher be in your Range? You're looking at the bill from below, so if it were a flycatcher it would look distinctly broader than this. 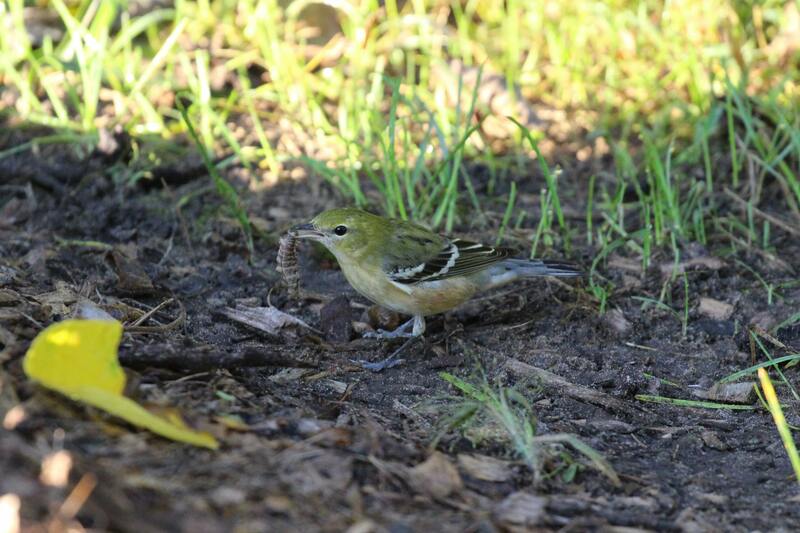 Vireos do not have yellow toes (their legs are entirely blue-ish) and also lack tail spots. I think that Ruby-crowned Kinglet is a reasonable possibility for #4, considering the very thin and quite short bill (and overall coloration).